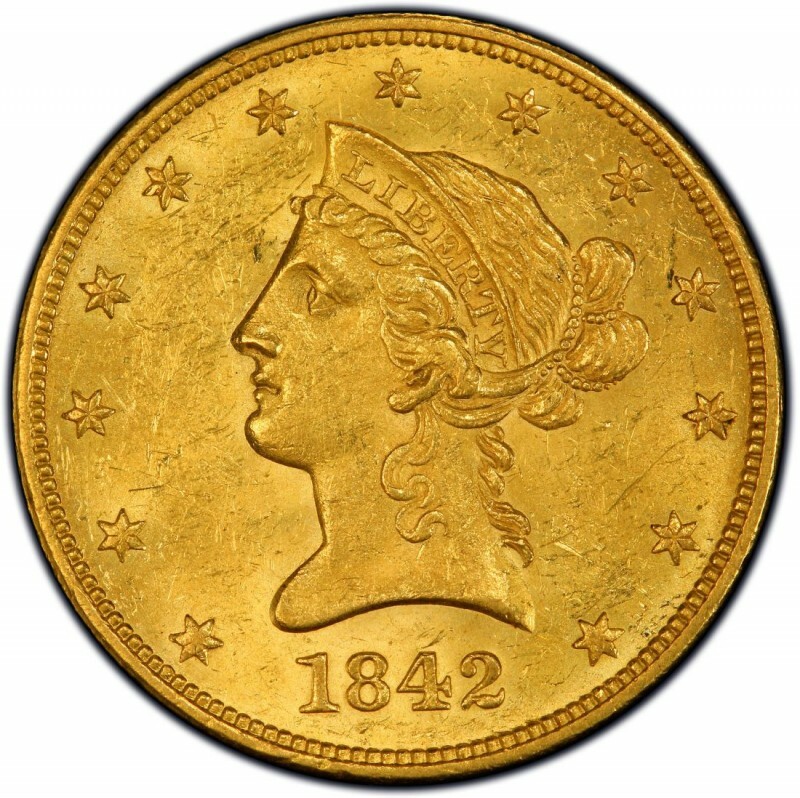 1842 Liberty Head $10 gold coins are quite challenging for collectors to track down as they were produced in relatively small quantities, and many of those coins were later melted down or had been lost due to extensive circulation. Liberty Head $10 gold coins were the first $10 denomination coins minted at the United States Mint since 1804, when the Liberty Cap $10 gold coin ceased production. 1842 Liberty Head gold eagle coins, which contain 0.4806 ounces of gold, were designed by Christian Gobrecht. He served as the third chief engraver of the United States Mint. Moreover, Gobrecht was responsible for designing several notable coins of the day, no less the Seated Liberty coinage, which remained in production from the late 1830s into the 1890s. 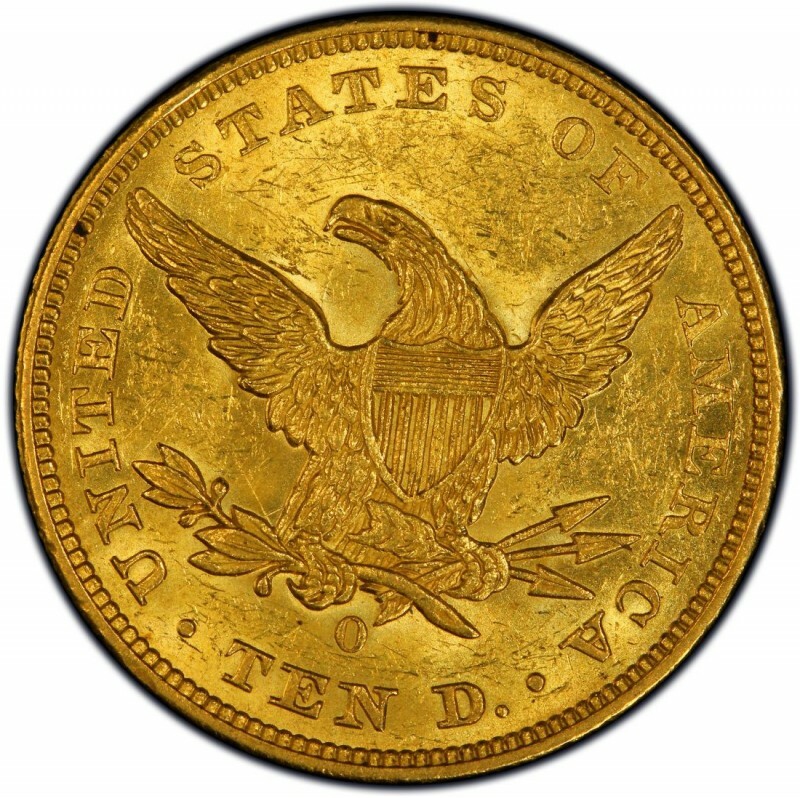 Given the scarceness of many pre-1933 U.S. gold coins, such as 1842 $10 eagles, it’s best to only buy them authenticated and certified from reputable third-party coin grading firms. Reputable coin dealers and bullion distributors are the safest sources for “raw” specimens.